Symptoms are typically absent early in the morning (honeymoon period), but increase with fatigue and get worsened as the day passes. It is further aggravated by fatigue, stress and anxiety. Watching television, reading or writing are some specific tasks which are reported to worsen torticollis. In this, there is abnormal head posture associated with involuntary twisting or jerking of the head and it is not associated with any other neurological sign apart from head/ hand tremor and marked cervical spinal abnormalities. Deviation may occur in any single plane or combinations of directions in which the head moves voluntarily. Pulling sensation in the neck. Subtle postural deviations of the head. Headache- have been reported to have a frequency of approximately 50% in patients. Chronic tension-type headache and migraine. 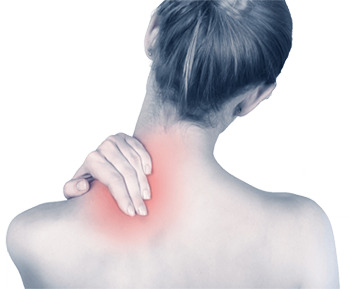 Neck and shoulder pain – It is prominent in 75% of patients. Pain is much more common in cervical dystonia than in other adult-onset focal dystonia. It is typically located in the posterior cervical region on the same side of the direction of head rotation or head tilt. Sensory tricks- Once dystonic postures develop, most patients are able to identify the provocating and relieving factors. It is also called as ‘‘Geste Antagoniste’’ or ‘‘Gegendruck phenomen’’ e.g. touching the face and holding the back of the head, holding the chin, leaning the head against the chair, holding or pulling the hair etc. It is a characteristic and unique feature as well as its presence is a diagnostic clue to this condition. It is known to temporarily reduce or even abolish dystonic posturing. Secondary CD should be suspected when patients have additional neurologic, orthopedic, or medical disorders or have a history of drug exposure or trauma prior to onset of CD.